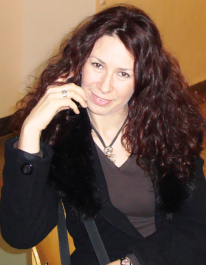 Rossitza Mitreva de Zulli was born on 29th July 1976 in Sofia, Bulgaria. She has studied Economics at the Universities of Economics and Business in Sofia, Vienna and Buenos Aires, as well as Slavonic Philology at the University of Vienna. Her motto is: Let's give the original a chance to go beyond the boundaries of cultural contexts and to be discovered and rediscovered by means of distinguished translation. Like a new arrangement of a musical masterpiece!